color. From Roman times through the medieval period colored foods were a delight at the dinner table. White was the most valued color. Blancmange (manjar blanco) was the classic of medieval times. Apicius colors dishes white with white sauce (salsa blanca). The Forme of Cury uses amylum. White vinegar or old verjuice also could be used for this purpose. 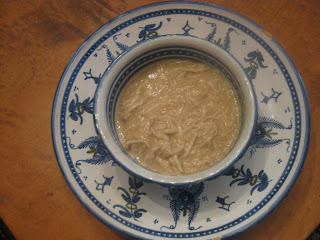 The Anon Al-Andalus recommends tafaya, a pottage, whitened with almond milk. In England, a white porray or leek pottage was a popular Lentan dish thickened with almond milk. White honey, egg whites, milk, cheese, wine, white flour (sifted several times with no bleach), white bread and white sugar were used as well. Anón Al-Andalus is filled with recipes calling for saffron and/or egg yolks to color food yellow or gold, the noblest color, such as the banquet Dishes of Mukhallal, Sweetened Mukhallal and Bilâja. Madder could be used instead of saffron to color Zulabiyya. To color the same dish dark red, brazilwood or gum lac is suggested. 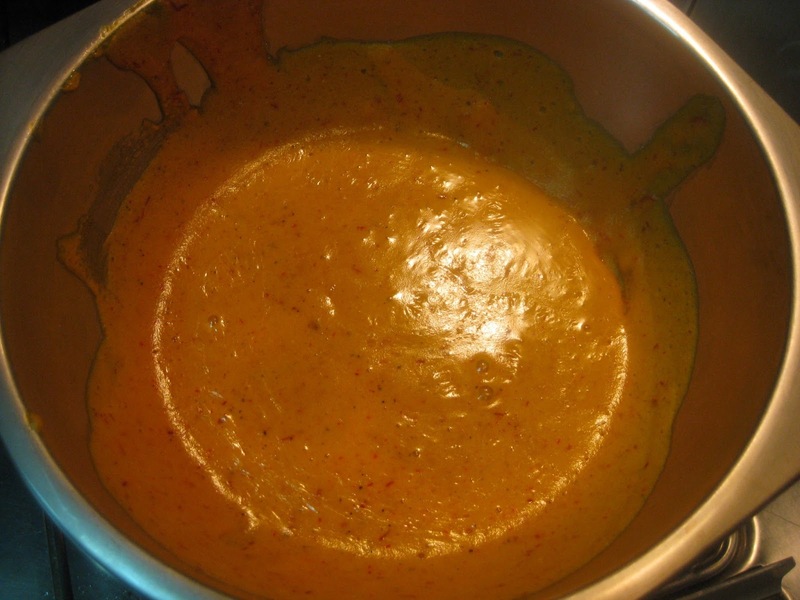 The Forme of Cury uses sandalwood, Mawmenee red, crushed red roses and red wine for Saracen Sauce and other dishes. Anón Al-Andalus gives a recipe for sandalwood syrup, a sandalwood electuary and a pomegranate syrup for red dishes. Jews boiled eggs in water with onion skins, the red root of alkanet, borage, or crushed red roses to color the shells red. Galingal, and currants were used also to color food red. Green fennel juice or fox grape juice was recommended during this period to color food green. Spinach, mallows, sorrel, and cilantro too were used for this purpose. 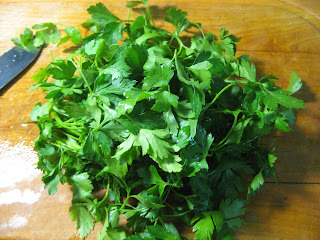 Forme of Cury and Nola use parsley while Sent Soví produces a green sauce with mint. The English green porray consists of vegetables, parsley and other herbs. Scorch and clean the chicken breast well. Boil it in 3 l water with the onion. 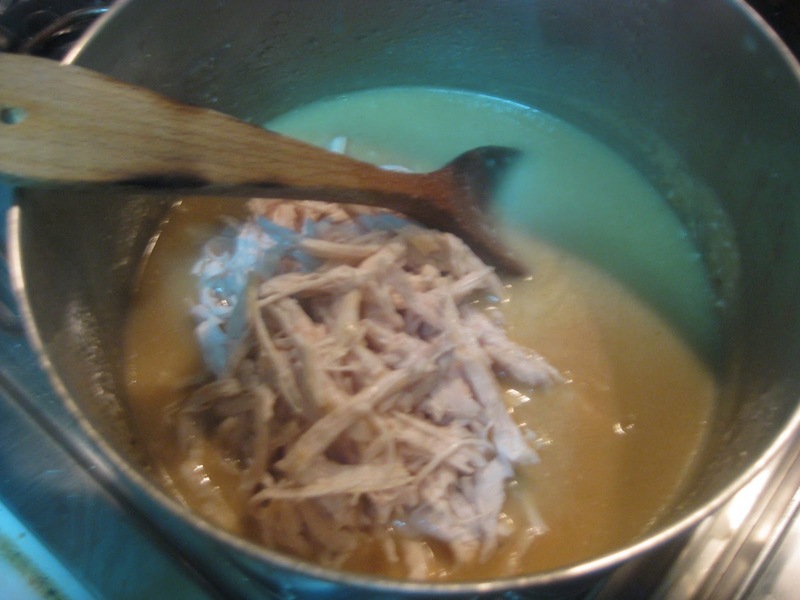 When cooked, take the breast out of the broth and let it cool. Remove skin and bones. Shred the meat and put it in a deep bowl with the rosewater. Boil the broth until reduced to approximately 1 l (if there is a lot of grease, skim some off), add almond milk and gently boil it. Stir it with a wooden spoon while adding the flour; keep stiring while it thickens. Add the chicken with the rosewater and sugar and let it cook 8-10 minutes more, stirring constntly. If a more liquid consistency is desired, add more broth. Serve in soup bowls. If more sweetness is desired aprinkle sugar on top. If more aroma is desired add more rosewater. Calero, an editor of Villena’s Arte Cisoria, maintains that it originated in Provence. through the Arabs, Perry suspects that only the name, "Harisa de Arroz"
the 14th Century. For other blancmange recipes published by the Medieval Spanish Chef see blogs titled: Chaucer for the English version published December 17, 2012; cetería, for another Sent Soví version published November 26, 2012; cangrejo del rio with Sent Sovís shellfish version publised 19 July 2012; beca for Nola’s 15th Century Caltalan fish version. It is a sure winner on dinner tables. This version is unique for the rosewater, which makes it exquisite.